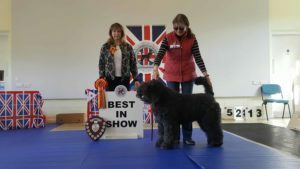 Our 2019 Open show is on Sunday 7th April 2019 at Yelvertoft Village Hall, NN6 6LJ, judging starts at 1pm after our AGM, all are welcome, please click the link below for the schedule with more details. All spectators are welcome, there is a small charge for dogs not entered into the show. 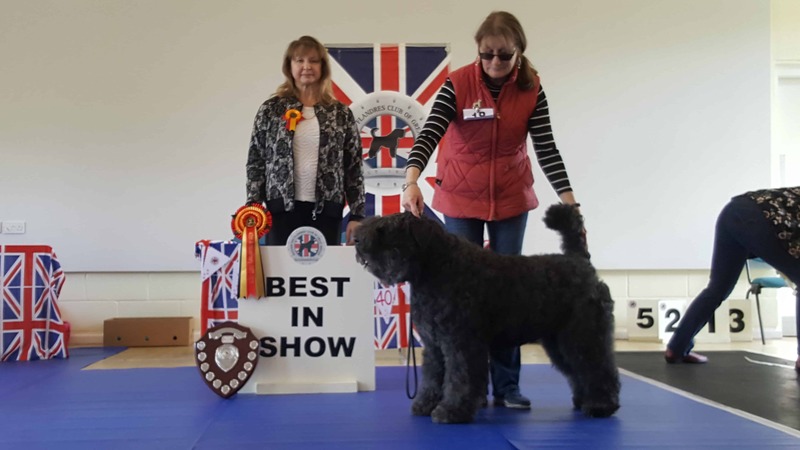 The Bouvier des Flandres Club of Great Britain held their annual Jamboree International on the 21st and 22nd August to coincide with the Welsh Kennel Club Champ Show. Despite adverse weather, the Jamboree was a huge success with a total of 19 caravans and tents attending, plus other people travelling to stay in B&Bs and hired cottages for the weekend. 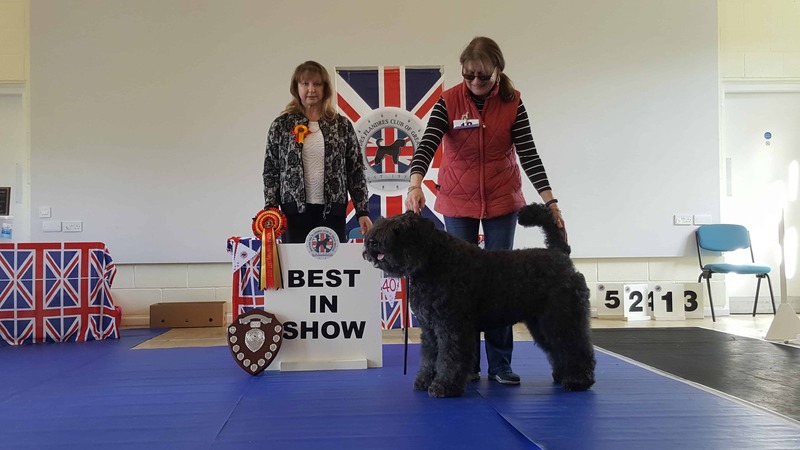 Visitors were from various parts of the UK, Ireland and Belgium and brought with them more than 30 Bouviers and 10 other breeds including Akitas, Russian Black Terriers, GSDs, and a Soft-Coated Wheaten Terrier.